VANCOUVER – Mawson Resources has closed a private placement worth $8.1 million with Goldcorp. The deal involved the issuance of 18 million Mawson share and share purchase units at a price of $0.45 each. As a result, Goldcorp has become the 12.7% owner of Mawson, an amount that could rise to 17.9% if Goldcorp elects to exercise all the warrants associated with the units. Mawson is exploring the Rompas and Rajapalot gold properties in Finnish Lapland. Both disseminated and nuggety gold has been found within a 10 sq. km. area. The area was first identified by airborne radiometric surveying in 2008. 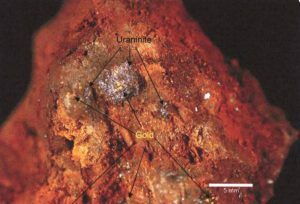 The presence of uranium in bedrock has also been noted. More information is available at www.MawsonResources.com.